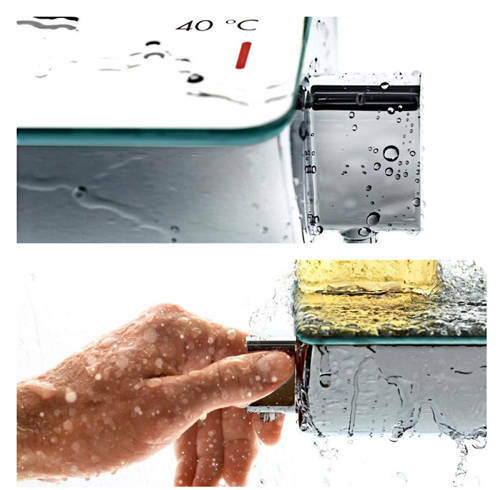 Hansgrohe > Ecostat Combi Shower Set With 900mm Slide Rail Kit. 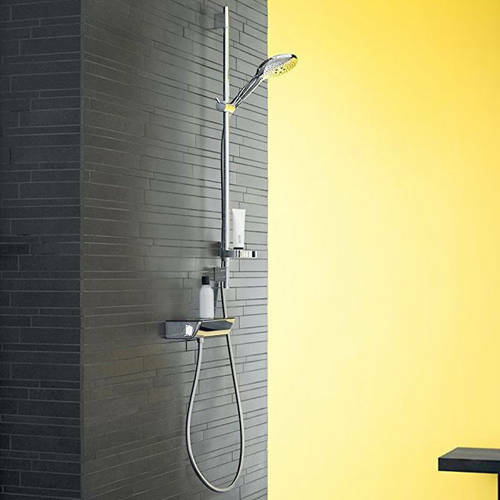 Hansgrohe Ecostat thermostatic combi shower set with Unica'S Puro 900mm slide rail and 3 jet Raindance Select S handset. Shower kit with thermostatic valve, handset, hose and slide rail (90cm bar). 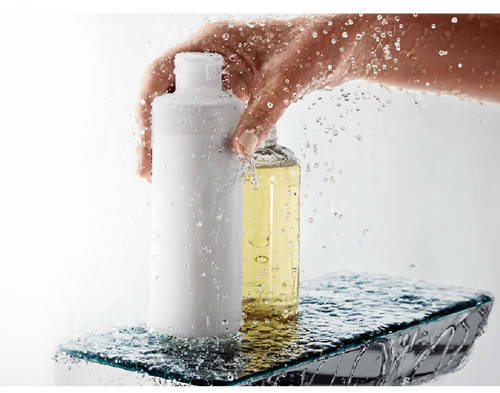 Shower handset spray pattern: RainAir (rain jet enriched with air), CaresseAir, Mix. 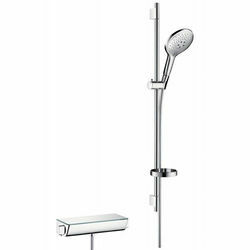 Raindance Select S shower handset with 150mm head. Thermostatic bar shower valve (1 outlet). Pivot connectors prevent hose from tangling. 90° Position adjustable slider, pivots left and right, up and down. 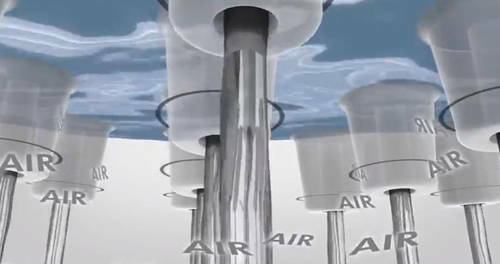 Maximum flow rate (at 3 bar): 16 l/min. Operating pressure: min. 1.5 bar/max. 6 bar. NOTE: cannot be connected with a standard fixing plate.